This week the Horror Duo review a pair of films that take on "the man". Forest shares his thoughts on the Cannon musical The Apple, and Cory answers a call to review Space Truckers. 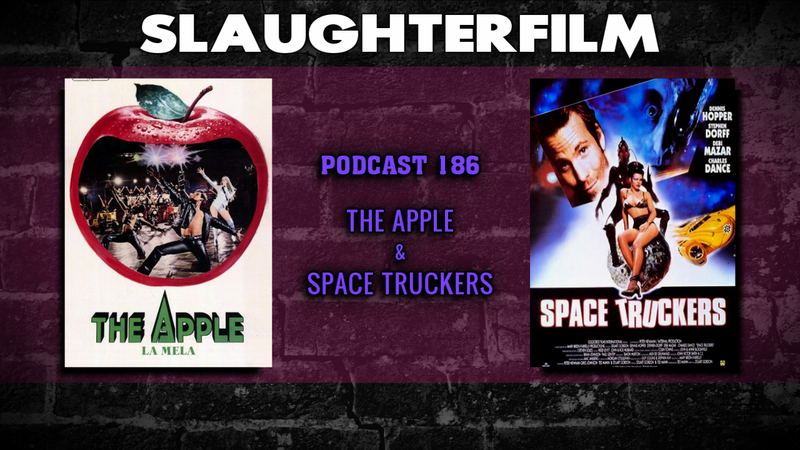 The guys also chat about The Hateful Eight and the future of movies being shot on film, a new Tales From the Crypt show and Rob Zombie's 31. All this and is the new Godzilla a zombie?! For more Slaughter Film news and reviews, as well as show notes and special events, make sure to visit our website; SlaughterFilm.com.